Duccio and Lamberto Banchi, Artisans in Bronze ("Bronzisti"). Makers of custom gilded picture frams and other bronze and brass luxury home furnishing. 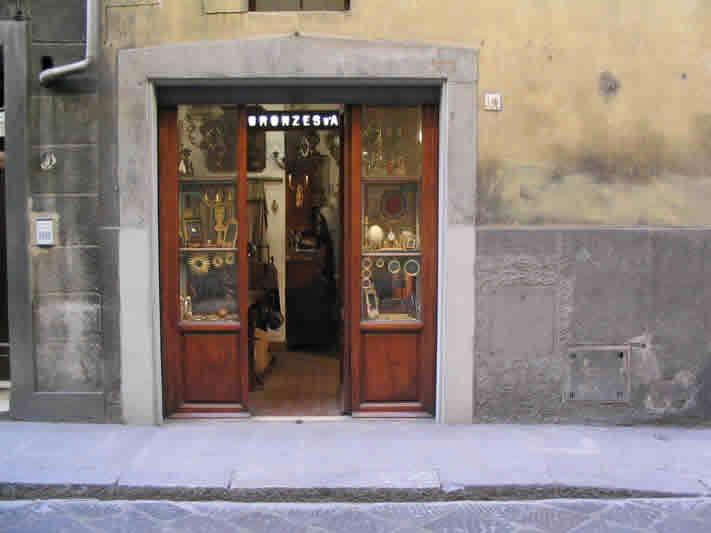 Duccio and Lamberto Banchi, "Bronzisti"
Maintaining the traditions of Florentine artisans, Duccio and Lamberto Banchi specialize in the handcrafting of artistic items in bronze, including picture frames, lamps, and fixtures for furniture and doors. 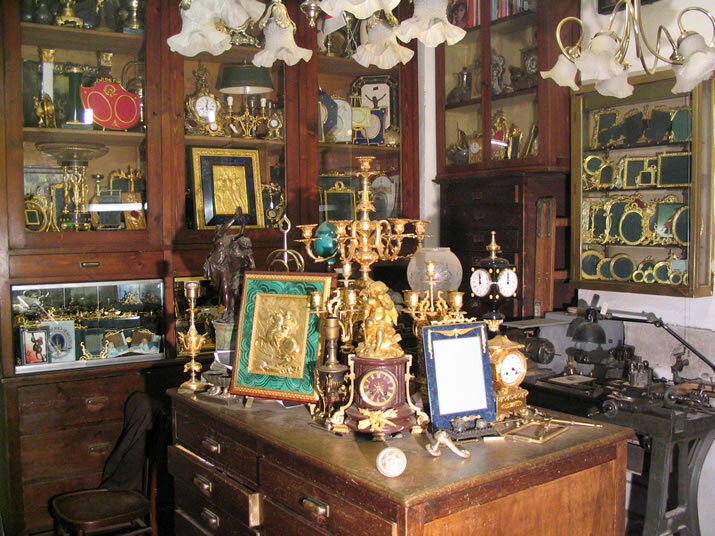 They also reproduce bronze artworks and restore bronze antiques such as statues and clocks. Center of the front room of the shop.